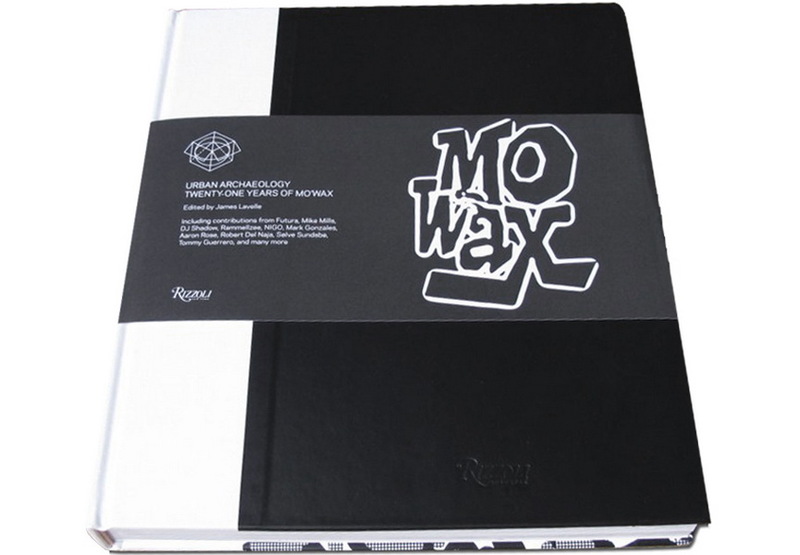 2013/14 marks the 21st anniversary of the birth of legendary UK label Mo’Wax. Established by DJ, producer and recording artist James Lavelle in 1992, it was responsible for unearthing revolutionary music artists including UNKLE, DJ Shadow and DJ Krush, as well as graffiti legends such as Futura and Swifty. This landmark has been commemorated with the Urban Archaeology exhibition that ran from June 13 – 22 at the Southbank Center in London. For those who did not manage to visit the exhibition there’s an anniversary book “Urban Archaeology: Twenty-one year of Mo’Wax” published by Rizzoli and designed by Ben Drury, packed with material from the exhibition accompanied by contributions from many of the seminal musicians that Mo’Wax represented, as well as the artists responsible for its aesthetic. 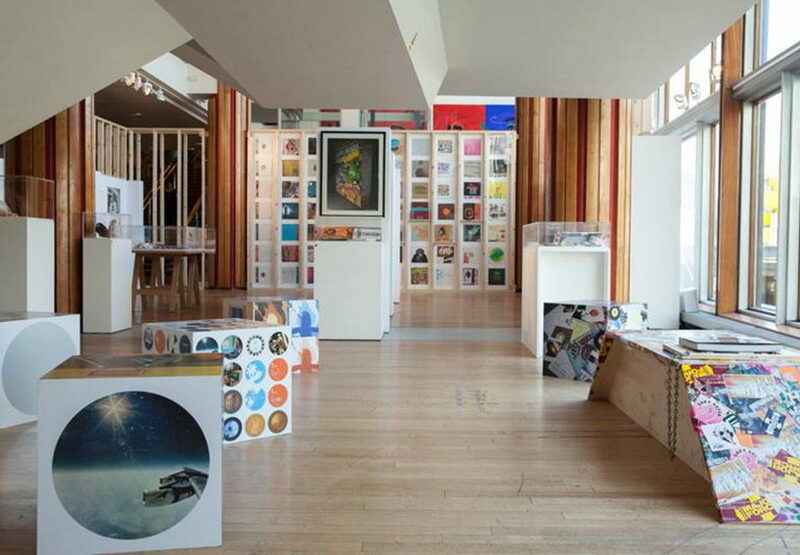 A retrospective exhibition of the Mo’Wax archive included tracks and record sleeves, previously unseen proofs and artwork. 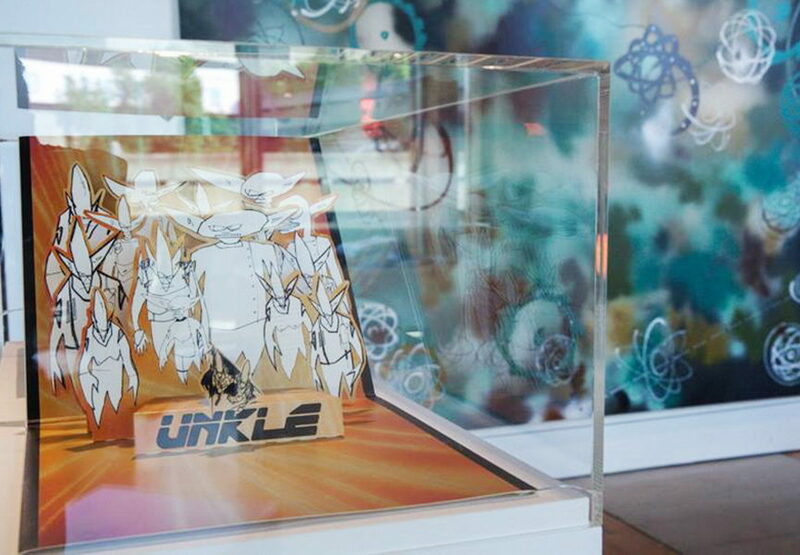 It unveiled the works behind the label, including print proofs, alternative designs for releases, private notes, letters and personal photos of the people who worked with Mo’Wax, as well as an array of the non-musical collaborations with Lavelle and the label, including collectible toys by Medicom, memorabilia, clothing and sneakers (including the notorious UNKLE collaboration with Nike). 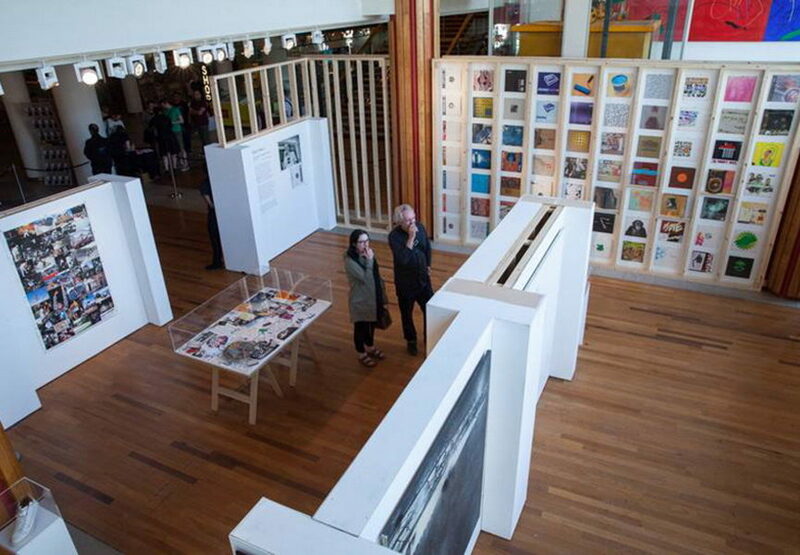 Urban Archeology was a very elaborate exhibition, a true retrospective packed with memorabilia and artwork from across the label’s history and beyond. 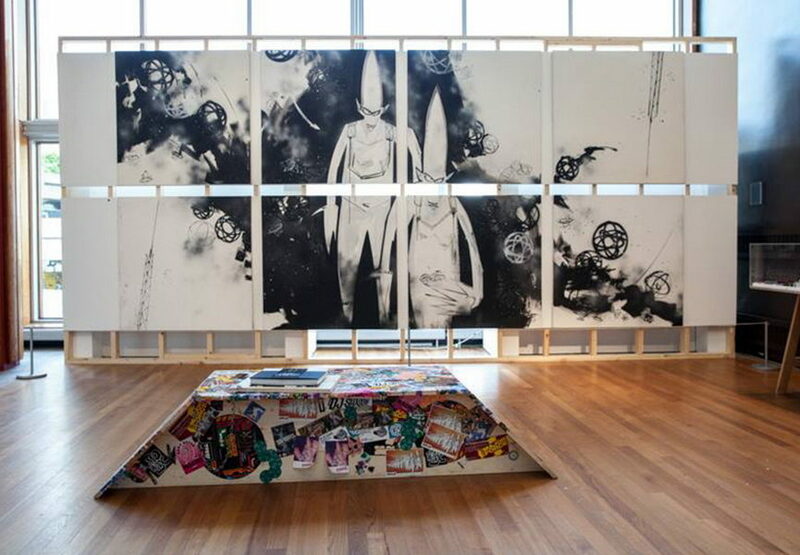 The exhibition not only celebrated the achievements of Mo’Wax and its artists, but it also documented phenomenal advances in youth culture during the nineties. While running a nightclub in Oxford called Mo’ Wax Please, which covered every genre, from funk and rare groove right through to acid house, Lavelle hooked up with future DFA lynchpin Tim Goldsworthy – and Mo’Wax was born. Lavelle was just 18 years old when he founded the record label. He just wanted to put out good records and have exclusive ones for himself to DJ. What at the beginning was a modest and very personal brainchild eventually became an icon of independent music and the epicenter of a movement in popular culture throughout the 1990s. However, this personal aspect has remained a strong component of the record label throughout its history, both in the choice of music genres and the visual identity. 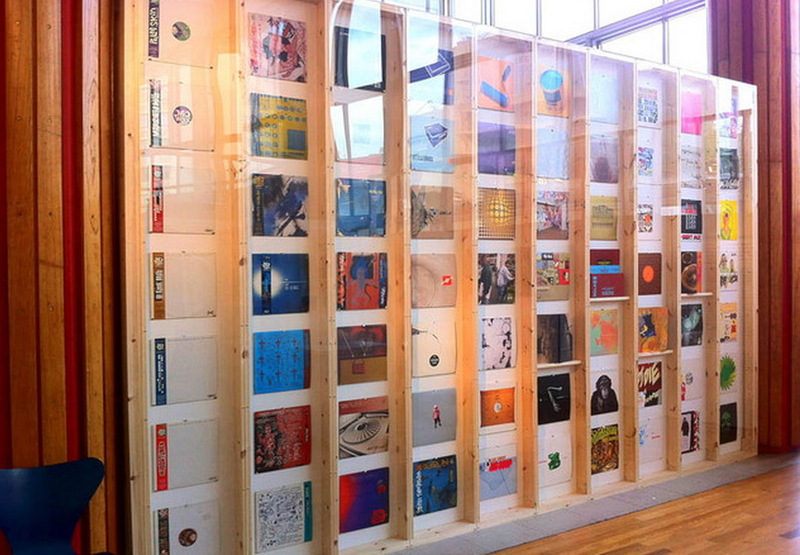 As well as their far-reaching musical impact, Mo’Wax’s artistic identity was crucial, and Ben Drury, the Head Designer of the label, designed over 400 record covers during his tenure. 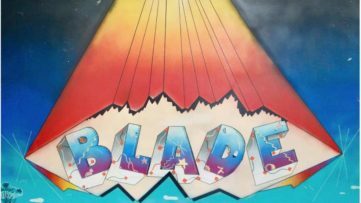 The label’s cocktail of influences ranged from Star Wars and Def Jam to Japanese Manga art, but essentially, Mo’Wax was uniquely British. Its distinctive style helped create a social environment with generations of people being identified with the label. 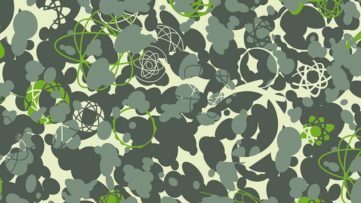 The label’s presence was strongly felt within the worlds of fashion and art, including collaborations with the distinctly British designer Alexander McQueen, Nigo and Bathing Ape, Supreme, Japanese toy creators Medicom, and American artist Kaws. 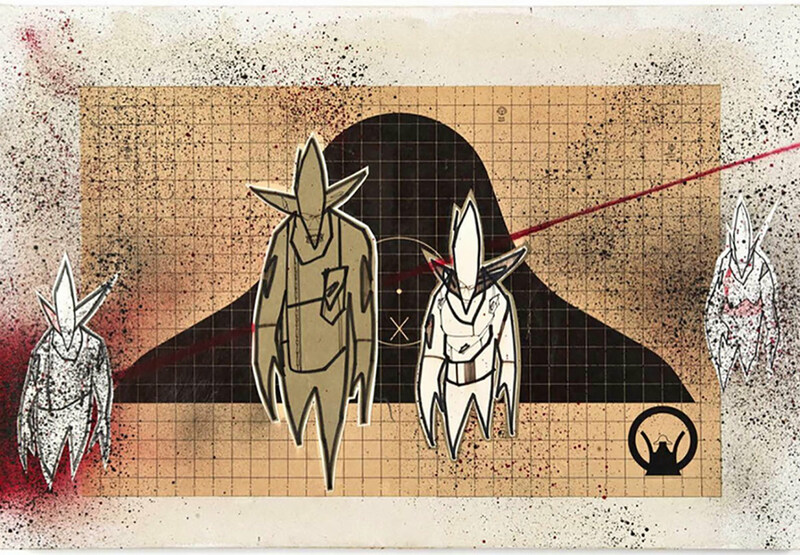 Mo’Wax was also responsible for bringing attention to the American graffiti artist Futura 2000, who created the original UNKLE Point Man, and who would often be seen at the Mo’Wax office in Soho, creating new designs. 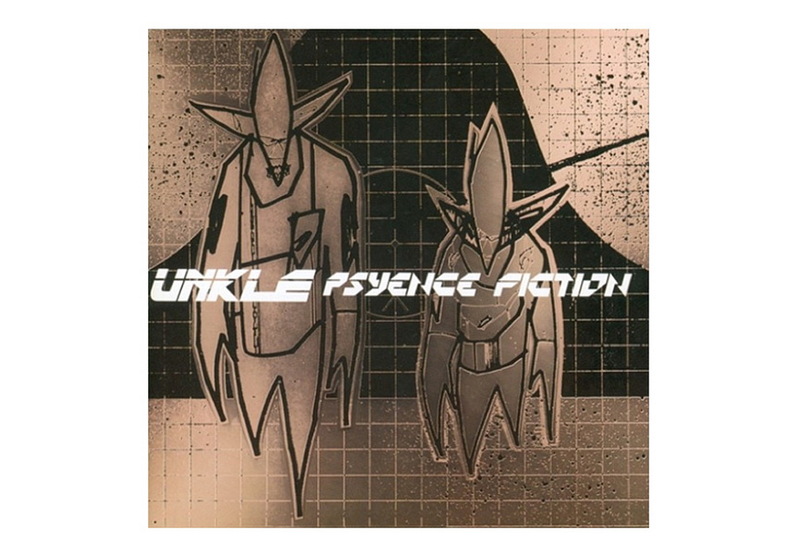 After numerous releases that helped redefine the face of British music and street culture and having immersed his efforts in his band project UNKLE, first with DJ Shadow and then with new partner Richard File, Lavelle finally walked away from Mo’Wax in 2002. 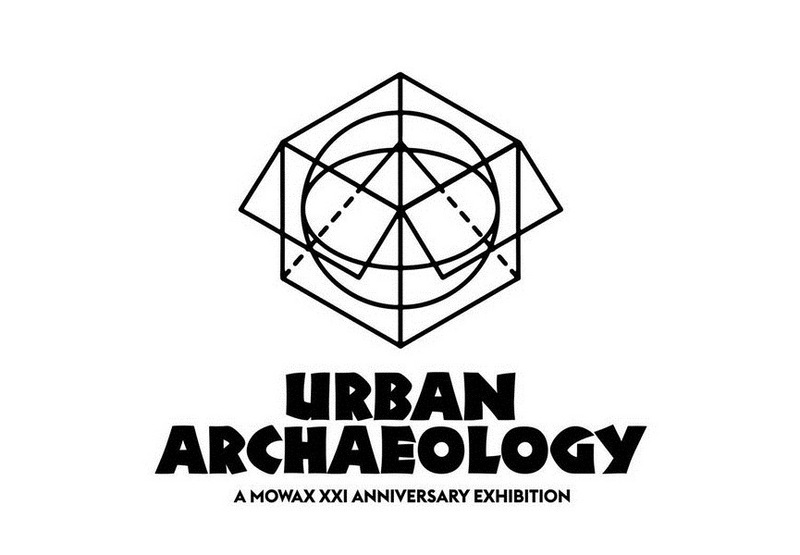 Urban Archaeology has brought all of which was achieved by Lavelle and his partners over 20 years on in one place bringing memories of generations of people who grew up with the Mo’Wax. There is a possibility that the exhibition will travel to other locations. According to Lavelle, negotiations are underway and he may take the show to Japan, Australia and USA in the near future. 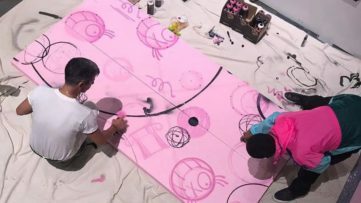 Sign up for free to My Widewalls, and stay informed about art news!